Interesting article on the shift of paradigm within the publishing industry. where ebooks are no longer perceived as a threat but an opportunity (or may be I should say less perceived as a threat). Peason and Bloomsbury reported that their ebook revenue increased by 186% and by more than 18 fold. In fact Bloomsbury had undergone a recent re-org in response to the ebook growth. I am wondering, if this is a clear indication of the publishing industry embracing the digital world in fear of extinction? (specially with Amazon’s self publishing services). In that case is it truly perceived less as a threat and more as an opportunity? Interesting article. BISG report on e-book industry! Roughly 1/5 of survey respondents said they’ve stopped purchasing print books within the past 12 months in favor of acquiring the e-book editions. Most survey respondents said they prefer to share e-books across devices. Only 28% said they would “definitely” purchase an e-book with Digital Rights Management (DRM); men were more likely than women to say they would not buy an e-book with DRM. Survey respondents indicated a clear preference for e-reader devices used as of November 2009, with computers coming in first (47%), followed by the Kindle (32%), and other e-reader devices at roughly 10% apiece. Some of the next steps for the eBook industry is to get more social so that user interactions while reading an ebook (whether on an ereader device or on any other device) grow and make the entire experience more valuable/productive. 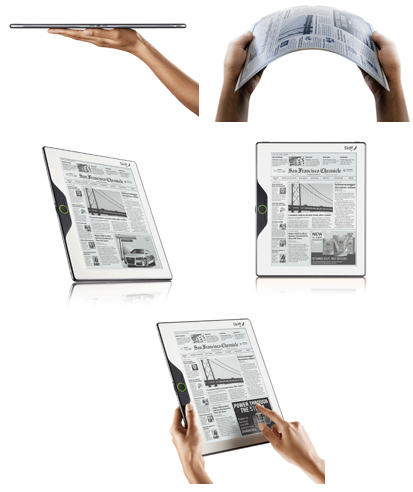 The ability to annotate, highlight and share your thoughts with other users have been somewhat limited with the eink devices. “With the latest versions of Stanza for the iPhone readers can highlight, annotate and share their via email, facebook or twitter, their thoughts about the book they are currently reading. Recently announced eBook reading platforms: Blio and Copia are also doing interesting stuff around the ebook software/platform to make it more social/interactive and increase user engagement. “Blio aims to deliver interactivity by allowing readers to insert text, drawing, voice, image or video notes directly into your content. These can be saved, and can be exported to create lists or study materials”. 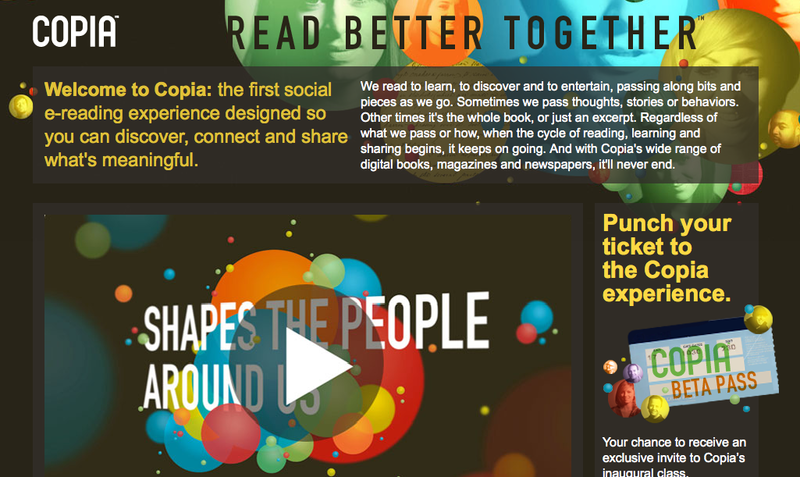 Copia on the other hand has built an entire platform around Goodreads-“social networking around eBooks” They aim to integrate the social networking sites within the device itself. With this sort of integration one can check which books their friends are buying, what do they think about the book, which book is a hit and which is not, recommendations(am assuming this would be pretty much like the Amazon recommendation model) etc. Moreover Copia claims that you can loop in your existing social networks…I think that will be simply awesome. Will ebook industry also go the same direction as Netflix is moving? Just when Netflix was getting more and more innvotive with their offerings of Blue Ray, Instant streaming they entered into an agreement with Warner Bros. to hold off on the release of new Warner Brothers DVD and Blu-ray movies until after they’ve been on sale for 28 days. Similar agreements with other major studios are likely to follow. That just means saying goodbye to new release rentals on Netflix. But why so just when they had started getting more innovative with movie watching convenience. Simple answer to this is the growing concerns within the big hollywood studios over declining revenue from sale of DVDs and Blu-Rays (one of the revenue streams studios depend more on nowdays than box office). Tagged as blue-ray, e-book, ebook industry, ebook vs pbook, Netflix, Netflix Agreement with Warner Bros.